Gr 8 Up—A masterful debut novel that delivers a unique and striking perspective on J.M. Barrie's beloved world of Neverland. The focus is on James Hook, a 13-year-old Londoner who cannot wait to be an adult. His only childhood indulgence is at night, when he dreams of being the captain of a pirate ship filled with ruffians and scallywags. When he happens upon Peter Pan in Kensington Gardens, James is bewitched by the lad's description of a magical world filled with mermaids and adventure. Unable to resist, he agrees to visit as long as he is back before boarding school begins. 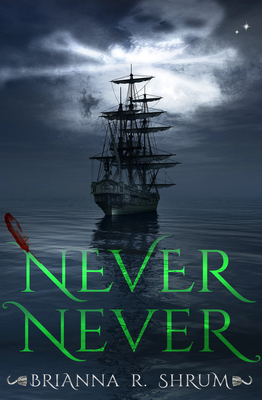 The Neverland he encounters is a dark and dangerous place, and James is shocked when Peter gleefully slits a pirate's throat. Pan refuses to return James to London, and the boy's initial admiration turns to hatred for this callous creature. Anguished and homesick, he is sickened to discover that while those around him do not age, he is rapidly maturing into a man. Hook embraces his destiny as a pirate and vows vengeance on the Pan. Filled with familiar characters such as the Lost Boys, the Darling children, and a bewitching and sensual Tiger Lily, Shrum's retelling is a deeply satisfying dark fantasy that just might change readers' perception of Peter Pan and Neverland itself. VERDICT A must-have for all young adult collections.